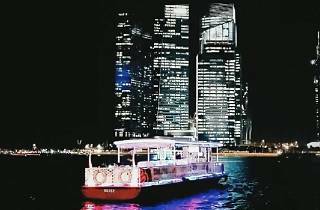 Float@The Bay is Singapore's first Dinner Cruise and Floating Bar, and offers a dining experience accompanied by views of the Merlion, the Esplanade and the iconic Marina Bay. 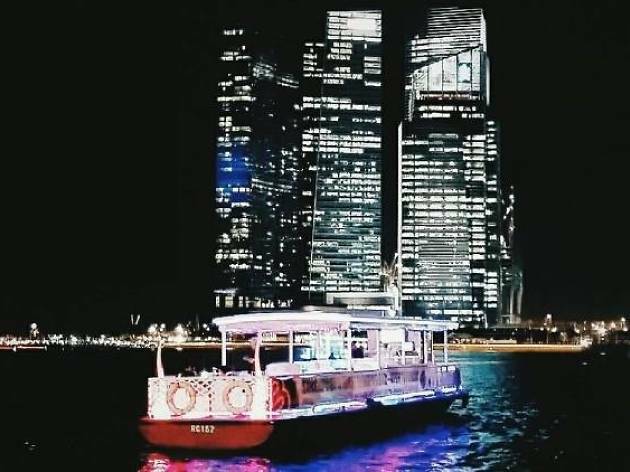 Enjoy a 4-course meal at $88 nett, inclusive of one drink, on Float@The Bay's Dinner Cruise, or board the Floating Bar and enjoy music while sipping on cocktails or beer on tap. The Floating Bar and Dinner Cruise are on two different boats, and reservations are required for each.The Dinner Cruise is only available Thursdays-Saturdays.